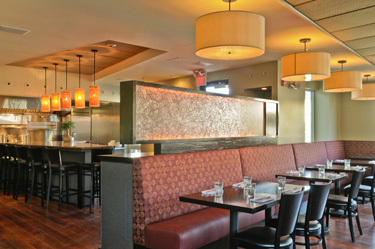 Aka Bistro brings a city dining experience to Lincoln with quality food and service, but without city prices. AKA Bistro serves both authentic Provençal fare and innovative Japanese sashimi, prepared by award-winning Executive Chef Chris Chung. Whether choosing from the French bistro or the sashimi menu, everything will be fresh, seasonal and locally grown when possible. Surrounded by gardens, the outdoor terrace seats 28. Located just 20 minutes west of Boston at the Lincoln Station Depot, the surrounding farms of Lincoln will provide much of the produce.